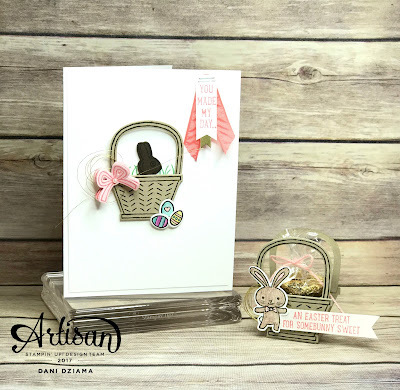 For our hop we could choose to feature either the Dragonfly Dreams or Basket Bunch stamp sets. I chose to use the Basket Bunch and coordinating Basket Builder framelits. This stamp set is so FUN! 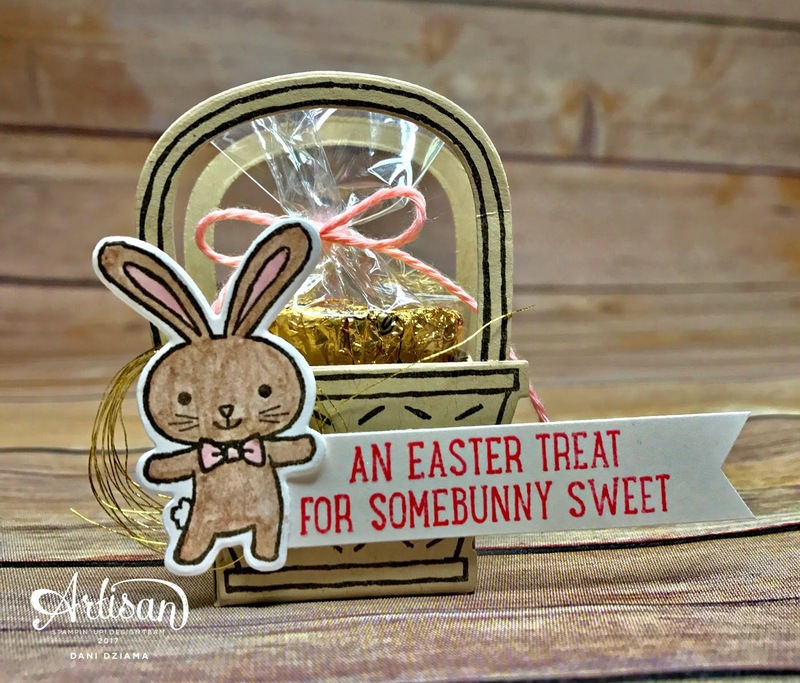 There are many elements that are perfect for the Easter holiday but several of the elements can be used for other occasions as well. For that reason- this set is definitely a MUST HAVE. 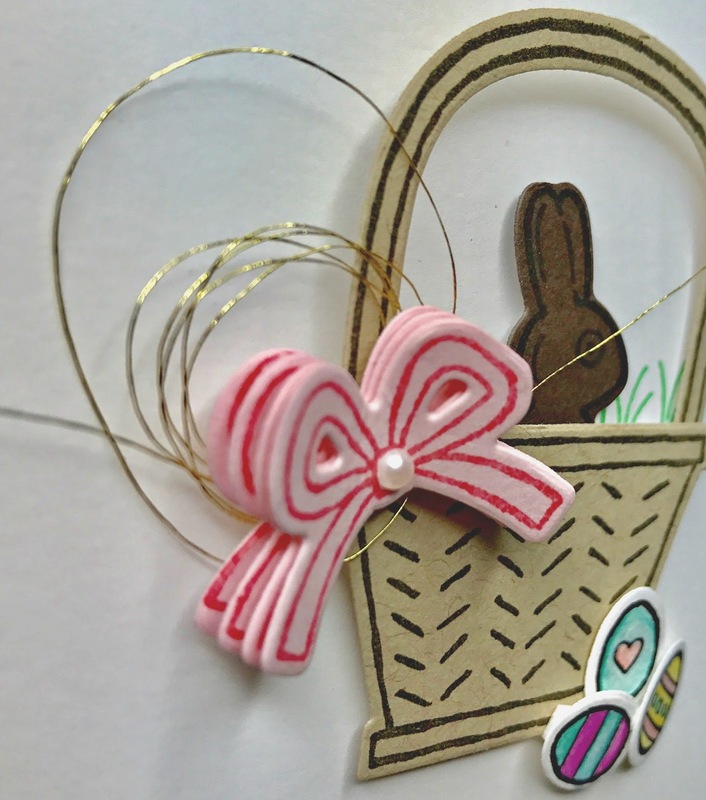 The card pictured below may "look" like an easter card but it's not! 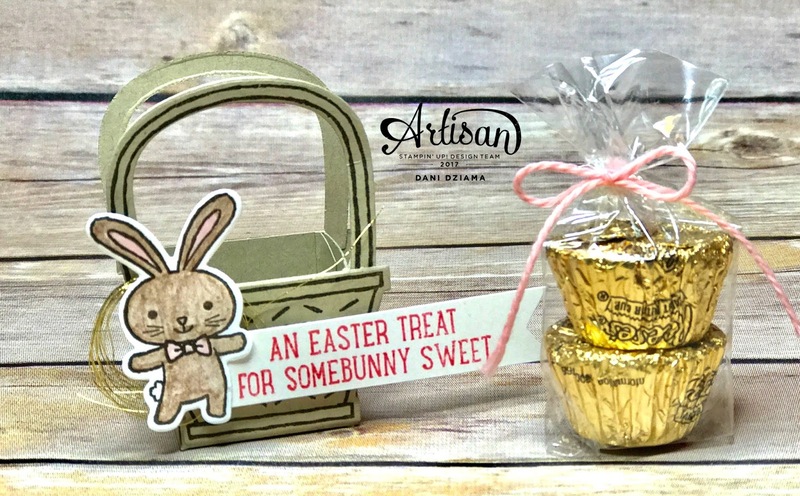 It's a thank you card which is the perfect way to say thanks for the Easter treats. 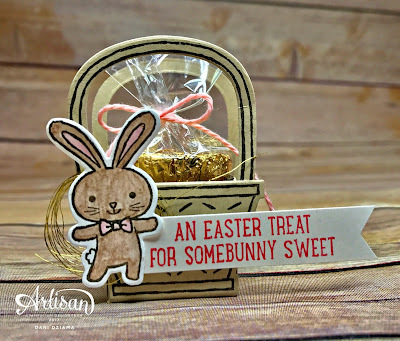 I couldn't resist using the "chocolate" bunny. He's just way too cute! See that bow on the side of the basket? I stamped several bows onto Pink Pirouette card stock using Flirty Flamingo ink and then cut them out using the coordinating Basket Builder Framelits. Next I adhered them together in the center with glue dots and then pulled the sides up to make it 3 dimensional. Super cute! Oh em gee. There's some serious cuteness right there! This basket was designed to hold 2 miniature Reese peanut butter cups. I stacked 2 miniature Reese peanut butter cups together then inserted them into a 2" x 8" Cellophane Bag. I then trimmed the bag to size and tied it off with some gorgeous Blushing Bride Baker's Twine. These are seriously the perfect classroom treat! I hope you have enjoyed my projects for today! If you're ready to head on to the amazingly talented Holly Stene then be sure to click the button below! Not sure whats more delicious...t he bunny or the Reeses... I LOVE LOVE LOVE reese peanut butter cups... and now with the recess pieces inside the cup.. COME ON!!! Too cute!! 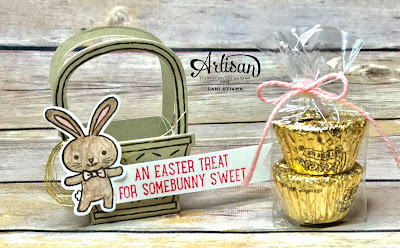 The litte basket is adorable for a tiny treat and I love the multi layered bow! Love your cute card! So sweet! Cute! 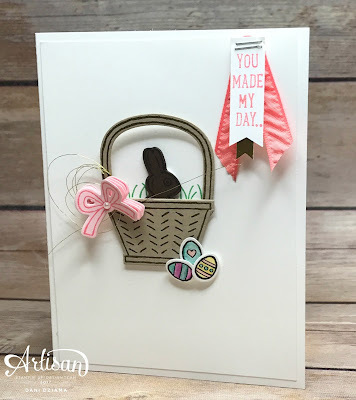 I love the bow and the banner and the basket is adorable too! Gah...what a cute treat holder! Sweet card too.